This week I'll be continuing on with the lesson plan I started last week. I have about 5 verses/prophets to finish. Find it HERE if you missed it and find my follow-up HERE with a few things I tweaked last minute as I was teaching. And if you are still in need of more ideas, I have another one! My pianist leaned over to me and said it would be fun to learn this song as a "Time Machine" and have various male ward members come in dressed as each prophet and talk about their assigned prophet then sing the verse. 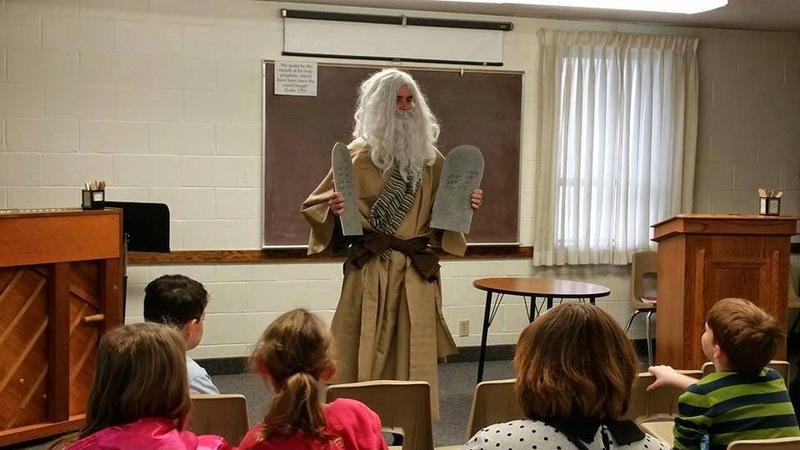 I also saw the same idea on the Chorister's Facebook Group...this picture (along with a few others) was awesome! I don't know if I'd have the resources to do this but amazing nonetheless!! Really a fun idea - thank you for sharing! I'm wishing I had 2 months to work on this song!! For the 3rd Sunday I'm thinking of using my St. Patrick's Day review activity found HERE to review our January - March program songs. I may be tweaking more than just the songs for this activity so stay tuned until next week. For the 4th Sunday this month, I'll be using Susan Fitch's artwork as a Memory game along with the prophet faces from Sister Pat Graham. More to come on this one as well!! I finally ended up printing all her artwork at home and adding the prophet names and a description to their "scenery" so it's less confusing when we play. Unfortunately, I won't be posting these for download (I try not to infringe on copyright material) so if you decide to do this activity, I'll try to have step-by-step instructions on how to make your own if you decide to purchase Susan's artwork from her Etsy shop (find the artwork in my Follow the Prophet lesson plan linked above). THEN for the last Sunday this month, I will be doing my General Conference singing time activity that I do every year at this time. It's found HERE. Our ward will be having our Easter sacrament meeting the Sunday after General Conference (our primary is also singing then) so I thought I'd keep singing time in line with that (ya know - cuz we have Sacrament Meeting last!). 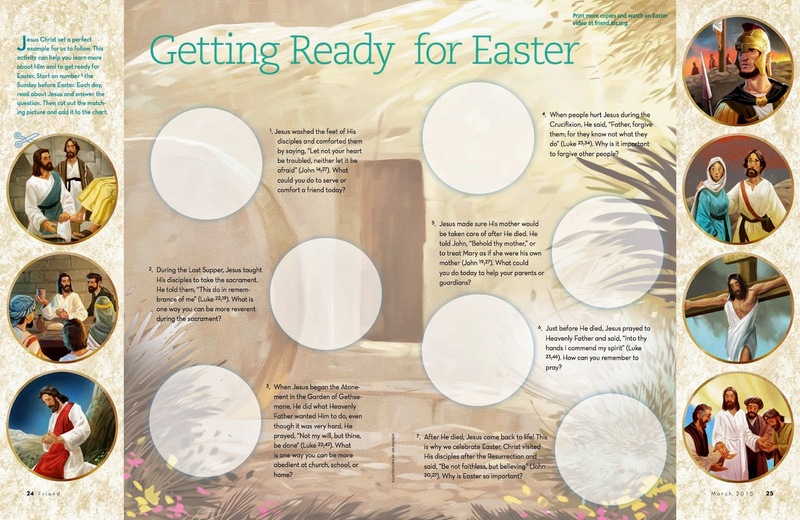 I will be pulling out the annual Hosanna with the handbells HERE in conjunction with an Easter singing time I'm creating using the March 2015 Friend article entitled "Getting Ready for Easter" found HERE. 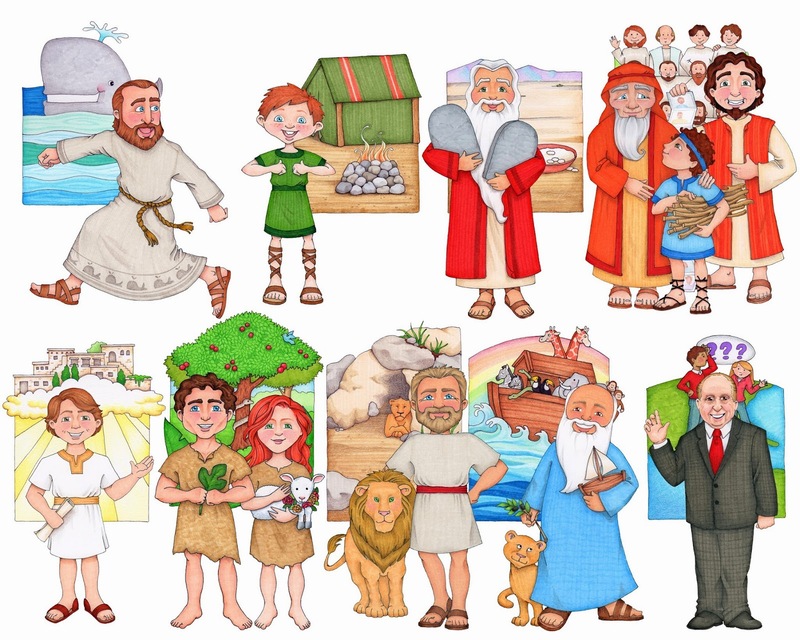 I plan on enlarging this image and each "bubble" will be a song where the kids need to figure out where each of them go, and we'll end with Hosanna on the bells. I'll try to get this up in time for the 5th Sunday in case you need to do your Easter singing time that week. This would probably be an activity that could fill an entire hour if you are lucky (unlike me!) and get to do that on 5th Sundays! Wow, lots to do! Have I lost you yet? Stay tuned for more fun!! Wow! There IS a lot going on! This is always the time of year that gets a little crazy. Each month's song plus easter plus conference, and eventually getting ready for Mother's day, etc. Whew! Thanks for helping me stay a little bit more organized!